AGE, BRAND AND MODEL OF EQUIPMENT: Directly affect the coverage and contract price. If age of equipment is misstated by more than one year or if brand, or model is misstated product will not be covered and contract will be void. All similar product must be covered. Should all such similar products not be covered, ECM will make the final determination as to which product is covered. SERVICE PROVIDED: During normal business hours Monday through Saturday, 8am to 6pm. All service provided by ECM will be based upon the level of priority, service demand, weather conditions and the availability of technicians. Emergency service will be provided during normal hours of operation for uncontrollable water leaks only. ALL PRODUCTS LISTED AND COVERED: For repair are for a basic standard product only unless otherwise listed and paid for as a covered upgrade, deluxe or premier product. PREMIER EQUIPMENT: Such as or similar to but not limited to Sub Zero, Viking, Thermador, Bosch, DCS, Dacor, Miele, Asko, Haler, Wolf, KitchenAid built-in, GE Monogram, Jenn Aire, Fisher Paykel, Gaggenau, etc including all similar Products or any custom built-in appliances are covered for labor only. Including all refrigerator 27” cubic feet or 36” inches wide or larger (no replacement coverage). DELUXE EQUIPMENT: Any product determined by ECM only to be a Deluxe product such as KitchenAid, French door Refrigerators, LG, Samsung and all front loader washers must be listed on the front page as a covered Deluxe product. OBSOLETE APPLIANCE PARTS COVERAGE: (Optional): Must have replacement coverage. Replacement will be made for reasons of obsolescence when the obsolete Item is critical to the mechanical operation of the equipment and product suffers 100% total (not partial) functional mechanical failure. Equipment will not be replaced due to obsolete electronic boards, electronic parts, door gaskets, oven clocks, or icemakers. ECM reserves the exclusive right to advise customers when their equipment is obsolete or non-repairable. CANCELLATION: ECM may at its option, cancel the contract or any part thereof at any time if any portion of your contract coverage is removed or if replacement coverage is removed by ECM from your contract, you are entitled to receive a one hundred percent (100%) refund of the cost of the portion removed or 100% of the cost of the replacement portion removed for the contract period only. A 10% administrative fee will be deducted from all contract cancellation premiums if the contract is cancelled by ECM, return of premium shall be based upon 100% of unearned pro-rata premium, less any repairs, service calls or replacement made by ECM. If the contract is cancelled by the warranty holder (required in writing) return of premium shall be based upon no less-than 90% of unearned pro-rata premium less any repairs, service calls or replacements made by ECM. For this purpose a pro-rata portion of the contract is earned each month. All service calls rendered by ECM will be billed at full retail price but not less than ($120 per call) which includes the first 1/2 hour, plus ($90 for each additional 1/2 hour) and suggested retail value on parts. Past due invoices for any service rendered will be deducted from contract cancellation refunds. Refunds will be issued by the same method of payment received. Customer must provide original credit card information for refund if card is cancelled must show proof. Renewal of this contract or any portion thereof is solely at ECM’s discretion. CANCELLATION ANNUAL HOME WARRANTY: (With monthly or quarterly payments): If you elected the monthly or quarterly payment option and the amount of service, parts and replacement costs incurred by ECM are greater than the monthly or quarterly fees paid, the customer shall pay ECM the amount by which the service costs incurred exceed the contract fees paid or the customer shall pay ECM the total annual contract premium Iisted, whichever is less by payment of this agreement you hereby agree to an annual contract and do hereby authorize ECM to charge your credit card for any expenses incurred that are greater than the fees you have paid through the date of the cancellation. 1. EAST COAST MECHANICAL, INC: Hereafter referred to as ECM. This contract covers parts and labor for repairs necessitated by a mechanical failure due to normal wear and tear that are specifically listed on the back of this contract agreement as covered and in in accordance with the terms, conditions and limitations of this contract until deemed unrepairable or condemned by ECM, at which time such equipment shall be replaced by owner at owner’s expense. If in our opinion, the repair cost exceeds thecurrent value of the product being repaired, the equipment may be deemed unrepairable and condemned by ECM, releasing ECM from any and all further contract obligations unless covered by replacement. Covered equipment must be listed on the front ofthis contract agreement and must be in good operating condition prior to acceptance of contract by ECM. Any conditions in first 30 days considered to be pre-existing by ECM are excluded from this contract, including any new coverage added at renewal ofcontract. ECM will be the sole determinant of pre-existing conditions. ECM may at its sole discretion cancel this contract in the first 30 days due to pre-existing conditions without any further contract obligations. The rate charged for this contract is not subject toregulation by the state of Florida. This contract does not have a grace period. No services or work in progress beyond the expiration date will be scheduled or performed. Covers equipment and products located on interior of main home only, garage and guesthouse are optional coverage. 2. CENTRAL AIR CONDITIONING: Air Handler & Condenser) electric type only. Compressor, evaporator coil, standard thermostat and humidistat, standard fan motors, relays, contactors, run capacitors, (Freon 410-A), fan blades, transformer, blower wheel,electric heater. NOT COVERED: Freon R-22, Freon R-22 substitutes, mismatched a/c systems not ARI Book Rated, (Mini split or water cooled air conditioners unless listed on front of agreement), coils and heat exchangers to water cooled air conditioners,A/C water valves, dampers, filters, aluminum coils, condenser coils, accumulators, drain pans, ductwork, programmable thermostats, programming thermostat, heat recovery, disconnect boxes, isolation Freon leak test, condensate lines, leaks, pumps andfloat switches, telephone modem, Wi-Fi- components, accessories, electronic air cleaners, dual compressors, electronic motors, variable speed motors, variable speed compressors, inverter control compressors, inverter electronic components, U/V lights,cabinets, reversing valves, hoses, hard start kits, sweating air handlers. 3. AIR CONDITIONING REPLACEMENT (optional coverage): There is up to a $1,500 maximum allowance replacement limit on a covered air handler or condenser. Should ECM condemn the condenser or the air handler the customer shall be required to paythe full retail value of the other piece of equipment plus all installation costs and permitting fees required by ECM to install the entire system. The maximum replacement allowance limit of $1,500 per piece of equipment condemned by ECM will be issuedtowards a new air conditioning system purchased through ECM and installed by ECM only. If customer fails to or refuses to pay ECM the cost of replacing the system minus the allowance credit for said piece of equipment, then by all rights ECM is relieved ofand is not required to repair or replace the condemned unit or system. Replacement excludes wall air conditioners, water cooled air conditioners, package units and replacement due to R-22 obsolescence. 4. 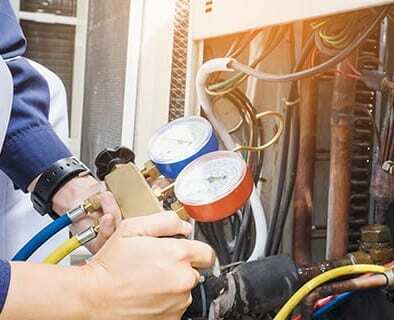 EQUIPMENT MAINTENANCE IS NOT COVERED: including a/c condensate drain lines, condensate drain line leaks or blockages, dirty coils, dirty drain pans, coil cleaning, and any equipment malfunction related to lack of maintenance. ECM reserves theright to refuse to clean a dirty evaporator coil due to age and condition. Customer shall provide annual maintenance on covered equipment, including flushing a/c condensate drain line and customer shall assume 100% full liability for any water damage relatedto an a/c condensate drain line leak. 6. REFRIGERATOR: Covers all mechanical components and parts including electronic boards. (icemaker replacement – optional coverage) Food spoilage due to ECM’s neglect is limited to $100 per contract year. Not Covered: Non repairable icemakers, icebuckets, water filter, filter housing, filter connections, filter lines, all plastic water lines, auger, auger motor, variable speed inverter compressors, divider block, freezer door slide rails, garage refrigerator compressors, fire. 7. OVEN/RANGE: Covers all mechanical components and parts including electronic boards. ( Range Hood optional ) Not Covered: Induction oven/range, glass, clocks, glass embedded electronics, warming drawers, oven gaskets, fire. 9. DISHWASHER: Covers all mechanical components and parts including electronic boards. Not Covered: Single or double drawer dishwashers, water wall dishwashers, tubs, rusted tubs, plastic tubs, racks, rollers, spray arm, plastic parts, optic sensors, fire. 10. GARBAGE DISPOSAL (up to 1/2 HP) Covered all components and standard wall switches. Not Covered: Abuse, foreign objects jamming mechanism such as forks, etc., batch feed or stainless steel disposals. 11. WASHER AND DRYER: Covers all mechanical components and parts including electronic boards. Not Covered: Steam appliances, dry cleaning centers, tubs, drums, agitators, lint screen, vent cleaning, lids, hoses, counter weights. 12. GARAGE DOOR OPENER: Covers door opener / motor assembly up to $300 if non-repairable and includes installation up to a combined limit of $750. Not Covered: Remote transmitter, door or door track assemblies, springs, Hinges, and exterior key pads. 13. GARAGE PLUMBING & ELECTRIC: (optional) Covers GFI outlets, light switches, receptacles, fluorescent light fixtures and mop sink. 14. CENTRAL VACUUM SYSTEM: Covers all mechanical parts: Not Covered: Hoses, wall connectors, wall hose outlets, piping and wiring inside walls. 15. SMOKE DETECTORS: Covered up to $50 and installation up to a combined max of $250. Not Covered: Changing batteries or when part of an integrated alarm system or a part of any home electronics and/or smart home system, non-accessible detectorshigher than 12’ feet from floor. 17. CEILING FANS: Covers all mechanical parts. Not Covered: Fan blades, off balance blades, remote control devices, specialty multi-speed wall control switches, non-accessible fans higher than 12” feet from floor, replacement or installation of new fans. 18. POOL HEATERS & POOL HEAT PUMPS electric type only: Covered parts are limited to a maximum of $200 per incident. Covers: compressor, fan motor, fan blade, capacitors, relays and contactors. Not Covered: Freon R-22, coil, heat exchanger, waterpressure switch, piping, remote controls, and programmable electronic control systems. Not covered under unlimited parts coverage. 19. POOL, SPA, SPRINKLER & WELL PUMPS: (Covers motor and pump assembly up to $300 max) includes installation up to a combined limit of $750, covers time clock, pressure switch and electrical up to exterior disconnect box. Not Covered: Controlpanel, electronic controls, remote systems, pvc piping, filters, water control devices, above or underground piping, cable or electrical lines leading to or from the well pump, including those that are located within the well casing, holding tanks or pressure tanks,check valve,booster pumps. 20. APPLIANCE NOT COVERED: Foreign or Portable appliances, plastic parts, shelves, shelf supports, knobs, glass, cabinets, doors, door liners, door panels, handles, door slide rails, trim, light bulbs, LED lights, meat probe assemblies, rotisseries, wave touchappliances, cameras, Wi-Fi enabled devices, TV. 21. APPLIANCE REPLACEMENT- COVERAGE LIMITS: (optional coverage)( higher replacement limits available) There is up to a $500 replacement limit on a covered refrigerator, and oven/range. Up to $400 replacement limit for a covered washer or dryerincluding stack washer/dryer combos. Up to $300 replacement limit on a covered dishwasher. Up to $200 replacement limit on a covered microwave. Garbage disposal replacement up to ½ hp. Freon 12 is an obsolete refrigerant and any sealed systemproblems or modifications are not covered. Freon 12 equipment condemned by ECM shall be limited to a maximum replacement value of $200. Receipt of new equipment purchased required, used equipment does not qualify. 22.APPLIANCE REPLACEMENT EXCLUSION: All stack and one piece washer/dryers, communicating appliances, front-end loaders, portable appliances, dry-cleaning centers, oven/microwave combos, oven/range/microwave combos, double oven built in, andall custom built-in appliances. Appliance replacement due to cabinets, cabinet parts, lids, doors, door liners, plastic parts, oven liners, refrigerator divider blocks, non-repairable icemakers and/or non- repairable ice and water dispenser, tubs, rusted tubs,plastic tubs, drums, rubber and wave-touch appliances. Glass and glass embedded electronics. ECM is not responsible for repairs or replacement of a product where the required part color is not available. 23.REPLACEMENT COVERAGE: ECM is solely responsible to determine when equipment is non-repairable. Its determination is final and binding. If you have replacement coverage it is indicated by an (R) next to the specific equipment covered on the face ofthis contract. Replacement of a covered product will be made only if the product suffers 100% total (not partial) functional mechanical failure and is deemed unrepairable and condemned by ECM only. At which time, ECM will offer you cash based on ouractual equipment cost for a basic standard replacement product only. Cash value for all equipment will be determined by ECM only (less than retail). There is a 30 day waiting period from initial date of coverage for replacement of parts and a 90 day waitingperiod for replacement of equipment coverage to go into effect. All parts or equipment replaced become the sole property of ECM. Prior to the issuance of any replacement monetary allowance the annual contract amount must be paid in full. 24.ELECTRIC WATER HEATER up to 50 gal. standard full size models only) Covers: Thermostats, elements, and temperature/pressure valve. NOT COVERED: Damage from rust, tank ruptures, fire, sediment and mineral build-up in tanks. Dip tubes, smells,time clocks, drain pans, gate valves, heat recovery, recirculation pumps, tankless water heaters, thermal expansion tanks, storage tanks, noise or solar systems, (electronic boards and controls) or adjusting temperature control and hard wiring. 25.GAS EQUIPMENT & GAS WATER HEATERS up to 50 gal. (Power vent heaters excluded) COVERS: Thermocouple, gas control valve, burner assemblies. NOT COVERED: Combustion chamber and vent piping. All terms, conditions and limitations fromelectric water heater apply. Gas equipment and/or gas water heaters are not covered unless listed as a covered gas product on front of contract. All gas parts are covered up to a total combined maximum of $50 max. 26. WATER HEATER REPLACEMENT COVERAGE: (optional coverage) (50 gallon max. standard residential size – electric only). ECM will supply you with a replacement water heater only if existing water heater ruptures. There is a $250 allowancereplacement limit on a covered water heater that ruptures in the first year and is purchased through ECM and installed by ECM. There is a $500 allowance replacement limit after first year and water heater is purchased through ECM and installed by ECMonly. There is a maximum replacement reimbursement limit of $250 after first year if customer refuses to use ECM for the installation. Homeowner shall pay all additional costs including permits, code requirements and electrical upgrades. Homeowner shallassume all responsibility for replacement of water heater prior to rupture and shall hold ECM harmless from any and all liabilities and/or damages incurred by homeowner. Does not cover tankless or hybrid water heaters, attic installations, above groundinstallations and non-available water heaters or water heaters that do not fit in the same location due to size. 27.PLUMBING & EXTENDED PLUMBING (3 bath max) Must include all bathrooms and kitchens. COVERED: Clearing of stoppages in fixture traps located on interior of home only, not behind walls or below the floor such as a shower, sink or bathtub drain,clearing of toilet stoppages up to the slab of the residence but not to exceed 2’ feet from toilet. Repair of standard two-piece toilets, toilet handles, flappers, ballcocks, flush valve, gaskets, tank bolts, wax seal, one piece toilets are covered for labor only,standard faucet aerators, cartridges and washers. Repair of minor visible and accessible plumbing leaks inside walls on copper pipes up to 1” inch in diameter. NOT COVERED: Removal, replacement or installation of plumbing fixtures, toilets, sinks, faucets,loose faucets, handles, spouts, shower diverters, tub drain waste and overflow, shower valves, Shut off valves, angle stops, sink and tub stoppers, sink basket strainers, sprayers, turbo flush toilets, (water filters, lines and connections) plastic water lines,knobs, piping, toilet flanges, (foreign, upgraded or designer faucets and shower systems), bidets, solar systems, flow restrictions, PVC, CPVC and polybutylene pipes, pumps, saunas, steam rooms, roman tubs, roman tub faucets, and jacuzzis. Installation ofmobile home water heaters. This contract does not cover repair, exploration or discovery of undetermined water leaks or any damages related to water leaks. ECM reserves all rights to condemn a toilet due to excessive clogs. 28. PLUMBING STOPPAGES & SNAKING interior of home only up to 10 ft. from fixture: (Optional coverage) Covered up to $500: Clearing/snaking of sink, bathtub, and shower stoppages behind walls and below floor. Toilets are limited to a max of 5 feetfrom fixture. 29. SEWER LINE CLEARING & SNAKING: (Optional coverage) Covered single family homes only up to $1,000: Main line lateral sewer stoppages that can be cleared by snaking through an accessible ground level cleanout or P-traps up to 75” feet from accesspoint. NOT COVERED: Cost to locate or access cleanouts not found, or to install cleanouts, replacement of collapsed or broken pipes, camera inspections, excavation or jetting. Access through roof vents, stoppages caused by vent blockages or sewer lineblockages outside the homes foundation, foreign objects, or roots even if within the homes main foundation. 30. WATER SERVICE LINE FROM HOME TO METER: (Optional coverage) Covered single family homes only: Repair and/or replacement of leaking exterior main water service line, for which you have sole responsibility, from your property boundary to thewater meter that is damaged due to normal wear and tear. Not Covered: Repair of any service line that branches off the main line, damage from accidents or negligence. 31. TOILET AND/OR FAUCET REPLACEMENT LIMITS: (optional coverage) Covered: ECM is solely responsible to determine when equipment is non-repairable. Replacement of a covered product will be made only if the product suffers 100% total (not partial)functional mechanical failure. Not cracked, broken or abused and is deemed unrepairable and condemned by ECM only. 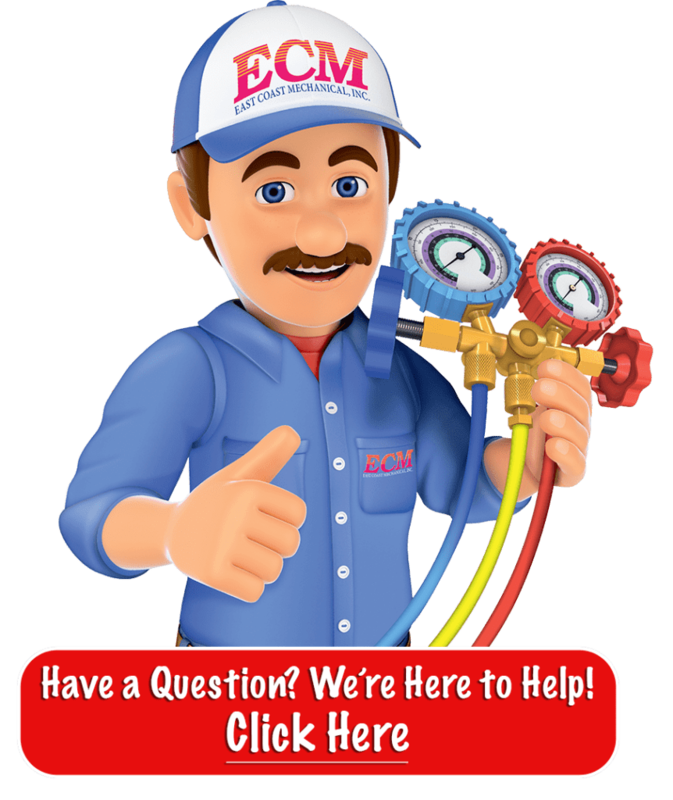 At which time, ECM will supply you with a standard similar replacement faucet up to $150 or a two piece toilet up to $250 which ECMcarries in stock. ECM is not responsible for matching brands, styles or colors. ECM will not install any customer supplied fixtures. You may purchase an upgraded faucet or toilet such as a TOTO toilet from ECM only. Toilets will not be replaced for continuousclogging of toilet caused by medical conditions and not related to a mechanical malfunction. 32. MINOR ELECTRICAL COVERS: Standard dimmer switches, wall switches, outlets and standard circuit breakers up to (60 AMP) located in interior of dwelling. Ballast to standard 4′, 6′, 8′ fluorescent light fixtures located in kitchen and bathroom ceiling only.NOT COVERED: Electrical system diagnostics and/or trouble shooting or electrical wiring, main circuit breaker, buss bars, electrical panel, quad breakers, light bulbs, LED lights, installation of light bulbs, light fixtures, exhaust fans, GFI breakers, andcomputerized management systems. 34. AIR CONDITIONING EXTENDED PARTS COVERAGE: All Covered parts are limited up to a combined maximum of $200 per incident unless A/C Extended Parts coverage is purchased and listed on the face of this contract. 35. APPLIANCE & PLUMBING EXTENDED PARTS COVERAGE: All Covered plumbing parts are limited up to a combined maximum of $50 per incident and all appliance parts are limited up to a combined maximum of $100 per incident unless Appliance &Plumbing Extended Parts coverage is purchased and listed on the face of this contract. 36.COVERAGE EXCLUSIONS: Foreign products, commercial equipment, and repairs required by home inspection companies. Products with no name brand recognition and/or without model and serial identification numbers or with no parts availability throughnormal ECM vendors and/or supply houses such as Home Depot brand products is not covered. All equipment accessories, negligence, abuse, misuse, maintenance, improper operation or installation, product sounds and odors. This contract will be voided if:equipment is moved from its original location or if equipment is moved or repaired by another company or if evaporator coil is cleaned by another service company. ECM will not pay for work done by other service companies. ECM reserves the right to rebuildand/ or install quality remanufactured parts. ECM shall not be held liable for loss or damage, consequential to or directly arising from the operation of or failure of the apparatus or its controls including failure to provide timely service due to conditions beyondits control, including but not limited to delays in obtaining parts or labor difficulties, repairs occasioned by the enforcement of existing or future codes or violations. This contract does not cover labor for repairs or installation of non-covered parts. 38.RUST AND CORROSION EXCLUSIONS: Any replacement and/or repairs, parts, components, or failure of any equipment related to or caused by rust and/or corrosion in the first year of contract is not covered and will be excluded from present and futurerepair and/or replacement. Any product or part damaged or rusted due to water leaks and/or water intrusion is not covered. 39. PROCESSING FEES: Customer agrees to pay for code upgrades, modifications, permits, permit processing fees, refundable inspection fees, warranty processing fees, handling fees, installation fees, shipping fees, (pick-up & delivery fees) and shop repairfees required by ECM. 40. TRANSFER: No transfer of contract or equipment to or from another location is permitted, such action will void contract. 0nly a contract paid in full may be transferred/assigned to a new owner (required in writing) pending approval from ECM. Contract holdershall submit a copy of the HUD statement and a signed letter requesting the transfer. Failure to do so will void contract. 41.WINDSTORM: This contract does not cover any product damage, replacement or product failures related to or caused by windstorm damage or power surges. ECM at its sole discretion will make the determination as to what is not covered due to windstormdamage. Any equipment failure, such as electrical components, motors, compressors, thermostats, or circuit boards that fail, are damaged or are weakened due to wind, rain, power surges or any condition ECM deems is related to wind storm damage for aperiod of thirty days after the storm, will be repaired or replaced by owner at owner’s expense.The following exclusions and any labor, material, work, handling or installations in addition to that specified in this contract will be furnished only on customer’s authorization and will be paid for by the customer as extras outside the servicecontract. A. LINES, PIPES AND WIRING: This contract excludes all types of wiring, lines and pipes including, plumbing, refrigeration, electrical, gas, low voltage wire, water lines, PVC pipes, a/c condensate drain lines, drain lines outside the home or beyond theequipment, or common area lines or lines and pipes not accessible, such as within walls, under floors or above ceilings. Freon lines or Freon leaks in copper pipes such as filter driers and beyond the equipment are not covered. B. MODIFICATIONS, DEFECTS OR RECALLS: Recommended by the manufacturer or otherwise for equipment already in service, including any repairs, parts, or replacement is not covered including modification repair kits, accessories, firmware updates ordefects such as faulty refrigerator doors and/or ice and water dispensers not sealing properly is not covered. Including defects such as burned wiring and harness or broken wires and/or leaking Freon lines inside appliance walls and not accessible are notcovered for repairs and/or replacement. C. MANUFACTURER’S WARRANTY: The manufacturer must perform all necessary warranty repairs and the customer shall be responsible for all related cost such as service, labor, installation, shipping, parts processing fees, pick-up and delivery of parts,and handling fees. ECM shall not be responsible for the cost of servicing or replacement of such equipment, if such equipment is within the manufacturer’s warranty or if manufacturer fails to honor any portion of the original warranty. Including warrantyproducts not registered or warranties not transferred to a new owner and not covered for full warranty period are not covered by the contract and parts will be replaced by owner at owner’s expense. ECM will not provide labor to install any warranty parts. D. ACCESS: Contract holder shall provide clear access to the equipment to be serviced. ECM shall not be liable to customer and shall not assume responsibility for any damages incurred to floors, walls, counter tops, or ceilings while moving or repairingcustomer’s equipment. ECM is not responsible for moving any equipment. At customers request only, ECM may move customers equipment and customer shall release ECM from any and all liabilities and/or damages to property. All two men jobs shall bebilled as extras and paid for by the customer. 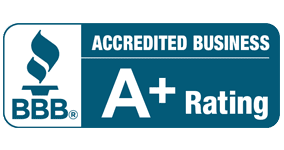 E. MOLD: ECM is not responsible for diagnosis, repair or remediation of mold, mildew, rot or fungus caused by any reason or associated in any way with the covered equipment or for any damage resulting from such substance, including without limitation, anyhealth problems. F. UTILITY BILLS: ECM is not responsible to determine the source of high utility bills or any reimbursement due to a mechanical malfunction. G. CO-PAY / DEDUCTIBLE CONTRACTS: Are required to pay a service fee for each product serviced on the same day. There will be no co-pay charge for a return second trip for the same item serviced within 30 days from the original date of service. H. SUSPENSION OF SERVICE: ECM reserves all rights to suspend service and not respond to any new service request if any fee, deductible or co-pay etc., has not been paid in full. I. CLASS ACTION WAIVER: Any and all claims, disputes, or controversies (whether in tort, contract, common law or equity), arising out of or relating to this agreement, or the relationship between the parties hereto, shall be brought in the parties’ individualcapacity only, and not as a plaintiff representing a Class, nor as a class member in any purported class, collective, representative, multiple plaintiff, or similar proceeding (Class Action). The parties expressly waive any liability to bring and maintain any ClassAction in any forum including, but not limited to Arbitration. J. ENTIRE AGREEMENT: This agreement is the entire contract between the parties. Parties agree to be bound by all terms and provisions of this agreement. Any and all work performed under this agreement shall be interpreted and enforced under theseprovisions. K. CHOICE OF LAW: This contract shall be interpreted under the laws of Palm Beach County, Florida. Should any term of this agreement be deemed by a Court of competent jurisdiction to be unenforceable, such determination shall not affect the enforceabilityof the remaining provisions.Content subject to change. Any reproduction printed or graphic without written consent of ECM is prohibited. © Copyright 2017 by ECM. Rev. 02/01/18.